Welcome to the HSLDA Blog Summer Series on starting to homeschool! Granted, it is only now the beginning of summer vacation, so maybe it seems like a bad time to talk about September. 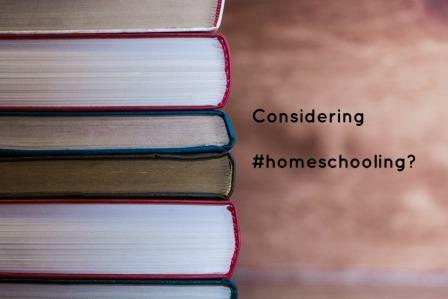 However, for those of you who are contemplating homeschool, HSLDA wants to help you find the answers you need. The series of blog posts and video updates will cover a wide range of topics from homeschooling preschool, starting from scratch, pulling your kids out of school at a later grade, the legalities of homeschooling, and more! There will be conversations between dads and between moms, and, as always, the opportunity to interact with other homeschooling families in the comments on the blog and Facebook. HSLDA believes that moms and dads are the best equipped to teach their kids at home. We simply want to come alongside of you and provide you with additional resources and supports that you might not have come across yet. So, you think you want to homeschool? Let HSLDA help you make the decision that is right for your family. Check back frequently to the blog and to HSLDA’s social media channels to join the conversation and to find the resources you need. Homeschooling is better with HSLDA: let us show you how this summer!